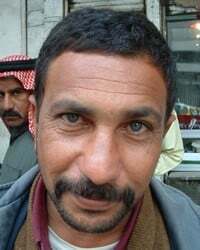 Overview: The Levant Arab people cluster encompasses people groups that originate from the Fertile Crescent between the Persian Gulf and the Mediterranean--extending across Iraq, Syria, Jordan, Lebanon, Israel and the Palestinian territories. In AD 600, nearly all of the ancestors of these peoples were, at least nominally, Christian. Most have now become Muslim, though there are still significant Christian minorities among them. Ongoing geopolitical crises continue to complicate the evangelization of Levantine Arabs.